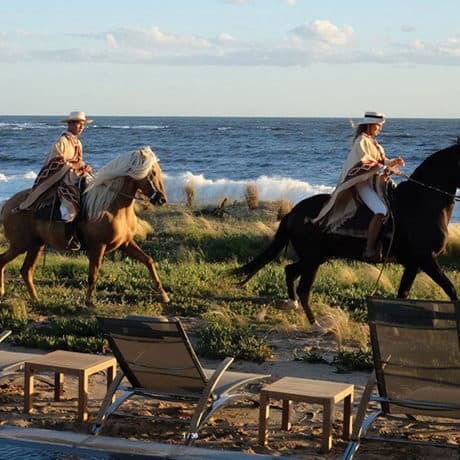 Spend your spring break relaxing at the gorgeous Bahia Vik resort in José Ignacio, Uruguay, with this customizable, 5-night packaged itinerary. For an effortless and unique spring break getaway, Bahia Vik offers a spacious escape along a beautiful, private beach. 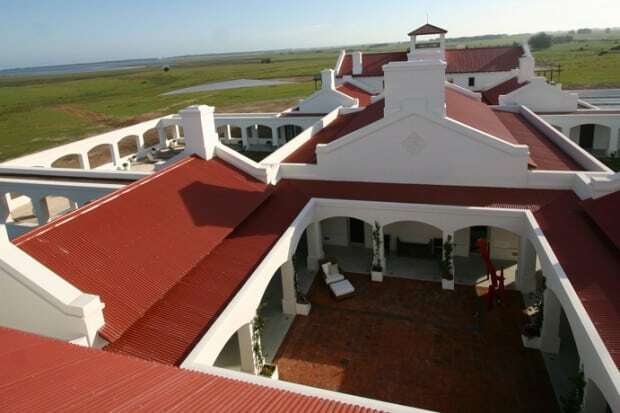 The hotel is located just a 20-minute walk or five-minute bike ride from the heart of José Ignacio. In this chic resort town, which exudes barefoot elegance, Bahia Vik is known for its inspired design, impressive contemporary art collection and laid-back vibe. In addition to beach and relaxation time, this itinerary will include the option to participate in such activities as touring local towns and vineyards; wine tastings, cooking classes and asado lunches; guided surfing, mountain biking, hiking and yoga; and horseback riding and polo classes. In between, you can indulge in spa treatments, use the infinity pool, sauna and solarium, and sip sunset cocktails around the bonfire. This packaged itinerary combines the best of Indagare’s destination expertise and priority access. It includes set hotels and activities—so you don’t have to worry about planning—but allows for flexibility, customization and free time to explore on your own. Travelers have the option of choosing between two different package plans: a fully scheduled itinerary with 6 days of set activities, starting at $4,288, or an a-la-carte package that only includes accommodations and allows participants to add on any activities that they would like to include, starting at $2,313. Both packages are available to book for spring break—or any other time. Please contact our team with requests for the full scheduled itinerary and any other questions at the link to the right. Curious to receive the full itinerary and join the trip? Contact us and find out more. 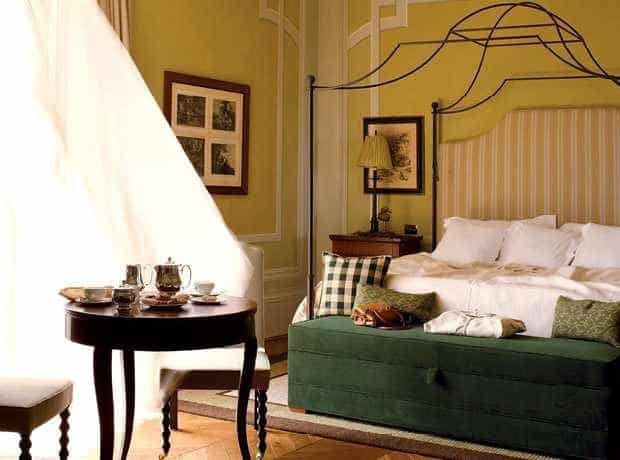 In preparation for the journey, members will also receive a comprehensive departure package that includes an itinerary, packing list, accommodations overview and other important information. Items of personal nature such as laundry, telephone calls, etc. Indagare has selected the articles from our website and magazine to prepare you for your journey. Peruse inspiring slideshows, insider tips, reading lists and more. 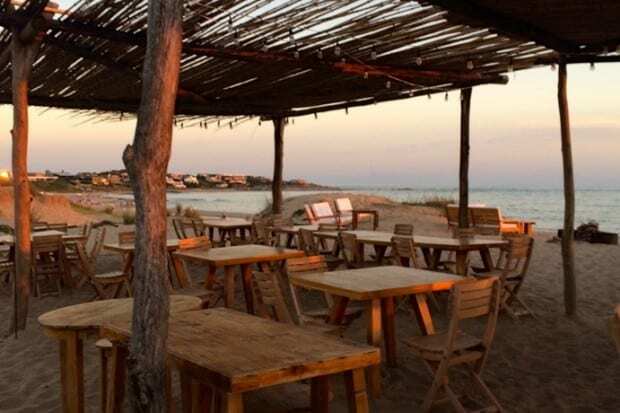 La Susana, a laid-back restaurant on the beach, is the perfect spot for sunset views. 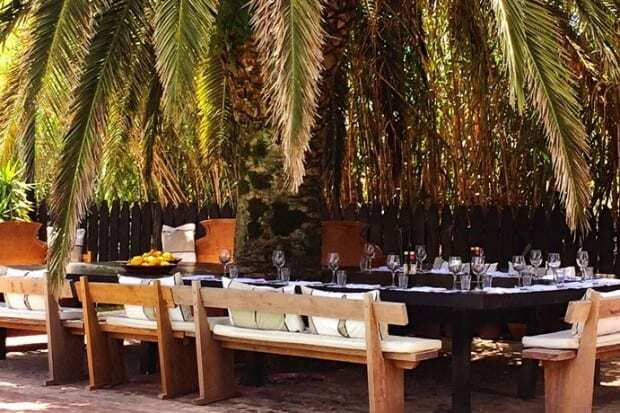 Lunch at renowned South American chef Francis Mallman's Garzon restaurant was served under a giant palm tree and lasted for hours. 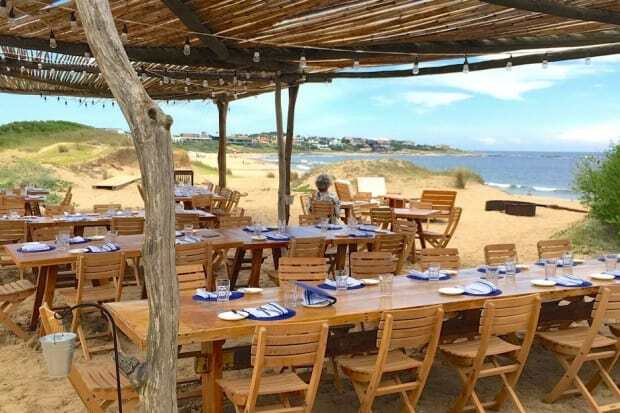 Indagare founder Melissa Biggs Bradley recently traveled to José Ignacio for an Insider Trip. Here are some of her photographs. For help planning your trip, contact our Bookings Team. Indagare’s favorite hot spot restaurants change all the time, but there are also some staples in each of the destinations we love that never go out of style. Here is our current short list for José Ignacio. 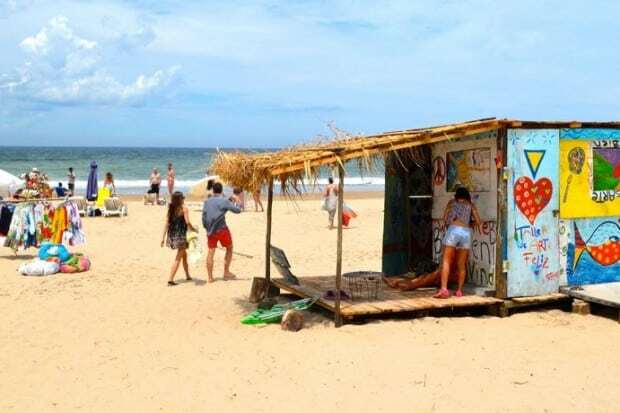 Indagare’s Emma Pierce recently traveled to Uruguay, where she visited the beach town of José Ignacio. Here are some of her photographs. For help planning your trip, contact our Bookings Team. 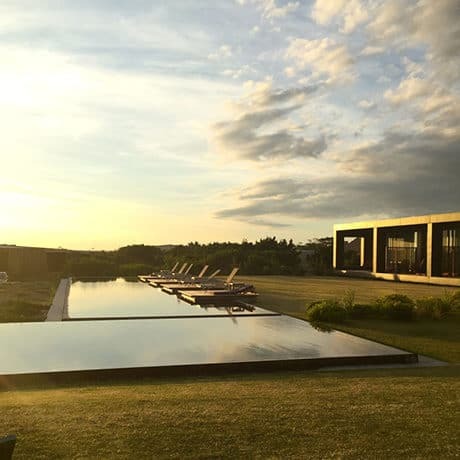 Indagare contributor Elena Bowes recently returned from a family trip to Uruguay, where they stayed at the rustic-chic Estancia Vik. Here are her impressions from the trip.